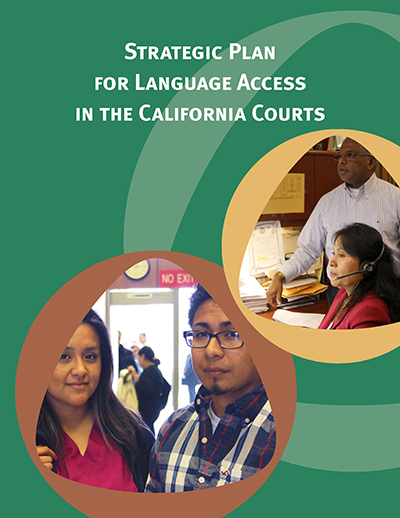 In January 2015, the Judicial Council adopted this statewide Language Access Plan (LAP) Report to provide recommendations, guidance, and a consistent statewide approach to ensure language access throughout the courts. March 15, 2019: The Judicial Council approved updated Language Access Plan guidelines for video remote interpreting (VRI) that include recommended minimum technology guidelines to facilitate its use. The council also voted to create a new VRI program for the judicial branch to expand LEP court user access to qualified interpreters. Report. Slideshow. News Release. A version of the Language Access Plan that includes graphics is now available. April 28, 2015: Executive Summary for the Language Access Plan is now available in the following languages. Over 200 languages are spoken. 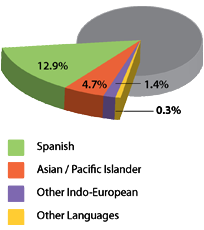 44% of households speak a language other than English. Nearly 7 million speak English "less than very well." 19% of Californians cannot access the court system without language help. Limited English proficient (LEP) court users are unable to file the proper paperwork correctly and are required to return to court. 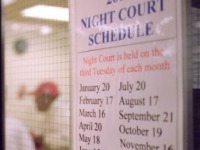 Signage in English may appear simple enough to understand, but to a LEP court user, key information is often misunderstood. Court users come to courthouses because they have a problem that they cannot resolve on their own. The state constitution requires that courts provide interpreting services for court users involved in criminal and certain juvenile cases. Efforts to expand interpreting services in civil cases are underway. 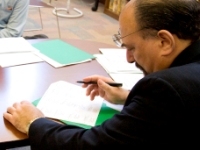 Without proper language assistance, limited English proficient (LEP) court users may be excluded from meaningful participation in the judicial process. Many LEP litigants appear without an attorney, and friends and family members who act as interpreters often do not understand legal terminology or court procedures. Further, LEP court users' language needs are not limited to the courtroom; the need for language assistance extends to all points of contact for the public. The Courts are searching for new solutions for these issues including more efficient use of existing resources to help improve and expand language access around the state. The Language Access Plan Implementation Task Force (LAPITF) is reachable via email at LAP@jud.ca.gov. For more information about the task force and projects, visit the LAPITF web page.